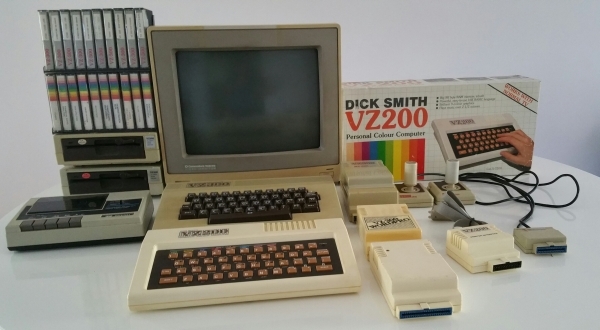 The VZ200 is an early 1980s home computer. Out of the box it came with 8k RAM, 16K ROM, Z80 CPU, Motorola 6847 graphics chip, rubber keyboard and a simple 2 bit piezo speaker. It was designed as a low cost entry level computer - better than a ZX81 but not as good as a spectrum. Similar machines of the time were the Acorn Atom and Tandy MC-10. The VZ300 appeared in 1985, which was fundamentally the same as a VZ200 but with more memory and a better keyboard. The picture below is some of my collection. Opening the case of a VZ200 revealled a myriad of chips, resistors and capacitors. The reason for the high chip count is due to the 1980s technology - memory was expensive. 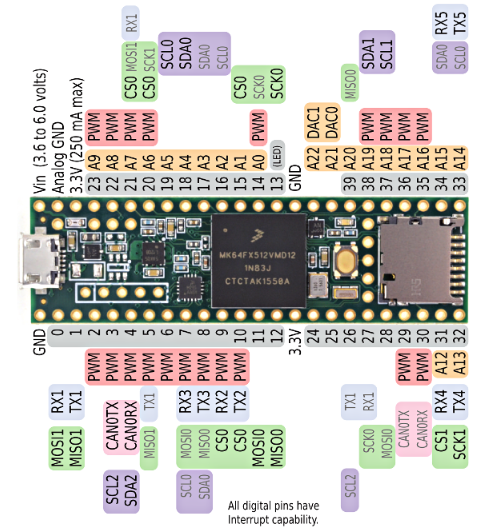 chips requires supporting circuitry, and additional ICs for address decoding between the Z80 and 6847. Below is a picture of the VZ300 internals. 3. 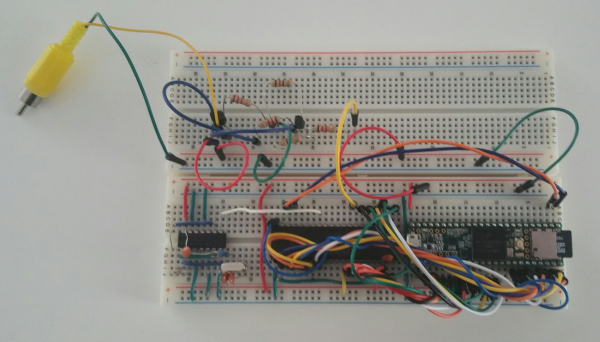 Teensy 3.5 microcontroller. 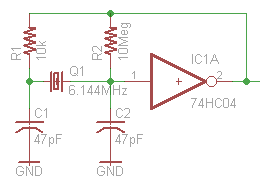 This is a modern, powerful, programmable 50 pin IC. This will simulate the Z80 CPU, provide a 64k address space, bootstrap the VZ ROM, interface to the M6847 and handle all the address decoding logic. 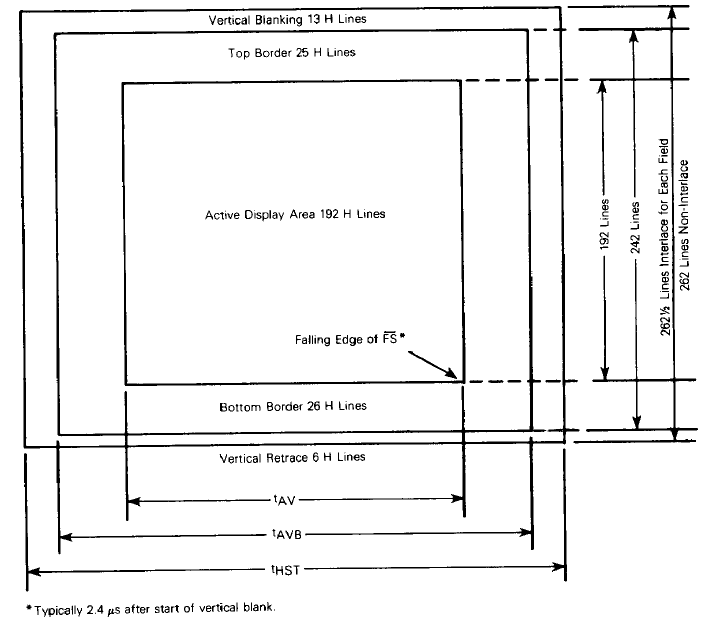 It is essentially a VZ emulator on a chip that interfaces to a real display chip. The teensy will replace all but two of the ICs above! 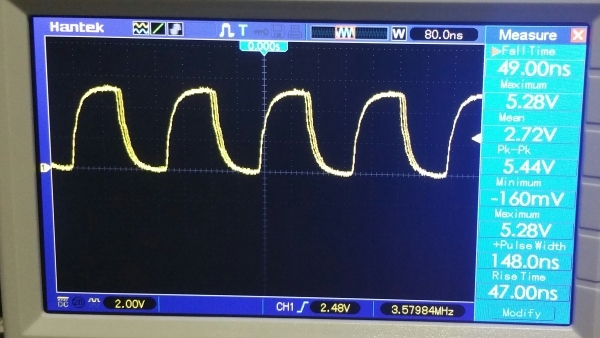 I then inverted the output again and after some experimentation used a 1.2k resistor to smooth out the edges. This is the clock generator circuit on a breadboard, next to the M6847. And this is the resulting signal captured on my scope. The pulse width is appx 150ns with rise and fall times of appx 50ns. The next phase of the project will be to build a test circuit interfacing the teensy to the M6847. The two transistor circuit below will be added to the "video card" breadboard to see if it can produce a working display. Then the Z80/VZ200 emulation code will be loaded into the teensy. Which proves the M6847 is accepting the clock signal and producing horizontal and frame synch pulses, which the microcontroller can read. Wired up the address and data bus of the M6847 to the teensy. For the "address" lines, the data pins on the teensy were configured as input. The "data" lines, writing data back to the M6847 were configured as output. Pins 25-32 are the 8 data lines to return data back to the M6847 with pin 25 the most significant bit. These are the functions defined in the teensy to decode the address lines and return data back to the M6847. 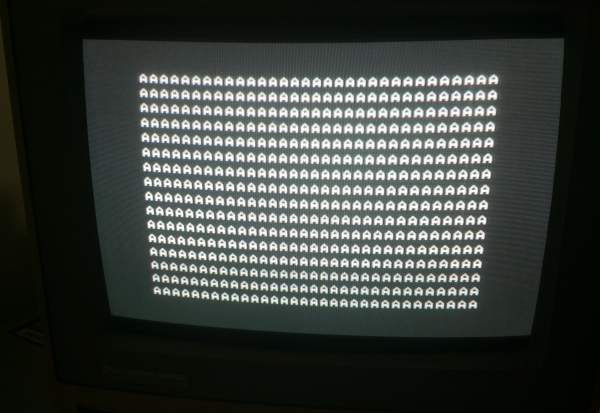 Another test program was loaded into the teensy to set the video memory to 0x41 - the ascii "A" character. The "loop" function, which loops forever while the power is on, just reads lines from the address bus (0x0000-0x17FF) and returns data from the byte array defined for the screen memory. The last digitalWrite command just lights up the LED permanently, which tells me the microcontroller is in its main loop. 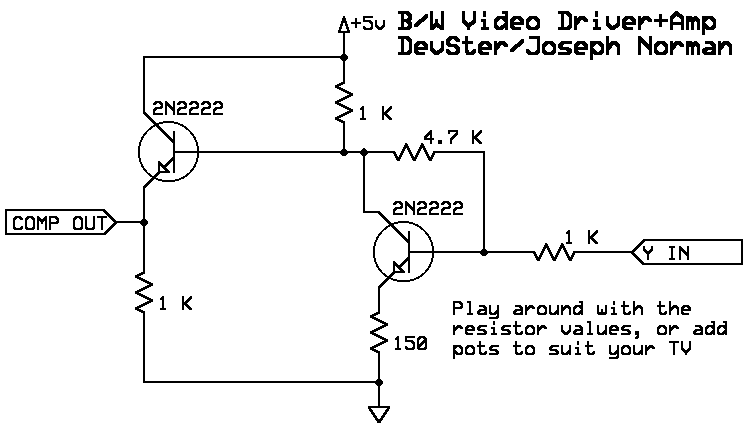 The two-transistor circuit was rigged up on a separate piece of breadboard. The picture below shows the initial state - using jumper wire it gets messy quickly, but this was just to test the pins. The final prototype will use cut to length wire. Note the micro sd card plugged in to the teensy. At the moment this is used to log tests, this will eventually be used to load the VZ rom on startup, and hold all the floppy disk and cassette images. 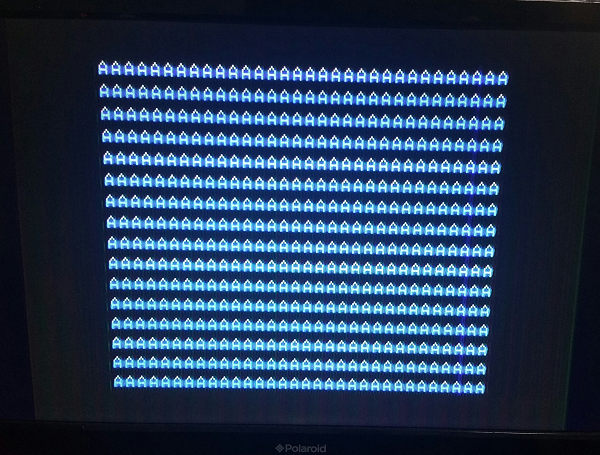 And this is the same result displayed on my old commodore 1084 monitor. The picture is near perfect - quite sharp to look at. Next iteration will split the teensy onto a separate breadboard, and the composite video out circuit will be incorporated onto the board with the clock and M6847. I'll change the rca plug into an rca socket, to allow use of a standard yellow video rca cable.